BUMC takes being a connectional church seriously. 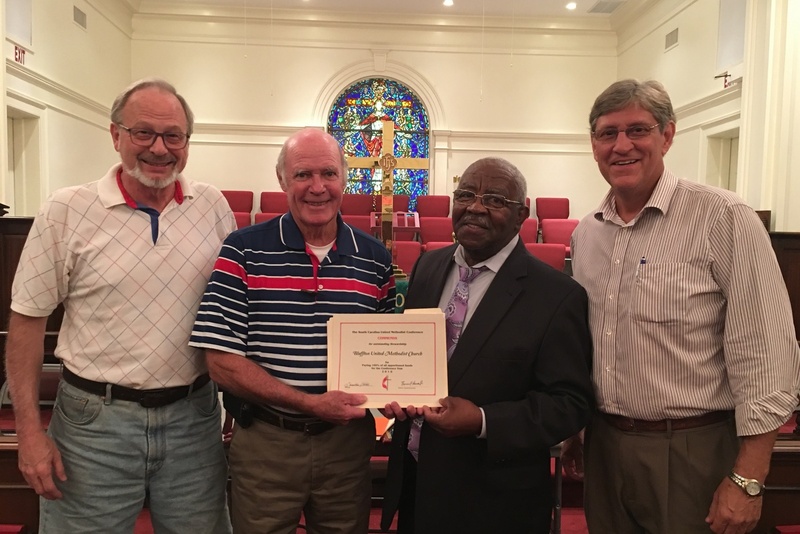 At the Charge Conference held on September 20, 2017, the Church Council received a certificate from Walterboro District Superintendent, Rev. Thomas Pearson, Jr., acknowledging payment of 100% of all apportioned funds for the Conference Year 2016.